Pengrowth Energy updated its shareholders last week on progress being made at the Lindbergh oil sands operation, and its outlook through 2023 and beyond. 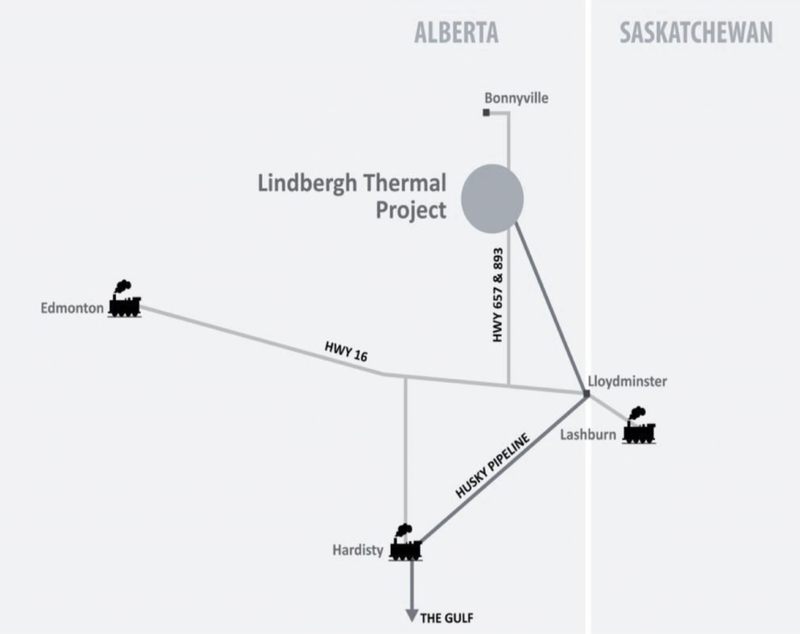 The Lindbergh in-situ facility, located 22 km south of Bonnyville, commenced commercial operation at the end of 2015, extracting bitumen from the Lloydminster Formation using steam-assisted gravity drainage (SAGD). Pengrowth acquired the oil sands lease from Murphy Oil in the spring of 2004. Last June, the company announced plans to grow output from Lindbergh to 35,000 bbl/day by 2023. Lindbergh already has regulatory approvals in place for 40,000 bbl/day and recently got the green light to begin co-injection of non-condensable gases, such as natural gas, into the reservoir. The technology is already being deployed commercially at MEG Energy's Christina Lake SAGD facility and was recently tested at ConocoPhillips' Surmont operation. Bitumen produced from the Cold Lake Basin is slightly less heavy than product from the Athabasca region, requiring less diluent blending volumes. API densities for Cold Lake product typically ranges from 9.5 to 11.0, versus a density of about 8.0 for Athabasca bitumen. Pengrowth says it only needs to add 30% by volume of condensate to meet pipeline specifications. Cold Lake product also has less contaminants, which reduces the quality discount to Western Canadian Select, sometimes selling very close to par with the Canadian heavy benchmark. Production from Lindbergh feeds into Husky's gathering system in the Lloydminster region, sold as part of the Lloyd Blend stream. Cold Lake is also a shorter distance to buyers in Hardisty, about half the distance of producers located near Fort McMurray. The company recently tied into Husky's pipeline infrastructure, connecting it to markets in the Gulf Coast as well as several crude-by-rail loading terminals. Pengrowth says transportation costs from Lindbergh to Hardisty are tracking close to $3 a barrel. Pengrowth has $45 million in capital allocated to the SAGD facility this year. Wells recently drilled this past quarter are expected to begin production in Q3, bringing total output closer to 18,000 bbl/day by the end of the year. The company plans to begin injecting a non-condensable gas into the reservoir sometime this year, which has the potential to reduce steam loads by up to 20%, leading to lower operating costs and GHG emissions. In the first quarter of this year, netbacks at Lindbergh improved to US$26.16 a barrel. The company also has plans to re-commission its idled pilot plant to provide incremental steam generation capacity. Post-2020, Pengrowth is looking at the addition of solvents to further increase output and also says it is assessing third-party proposals to add more co-generation capacity, which would be required for future growth. The Lindbergh assets hold an estimated 317 million barrels of proven and probable reserves, currently producing about 17,500 bbl/day. Pengrowth says operating costs are tracking at about $10.50 to $11.50 per barrel. Assuming oil prices remain at current levels, Lindbergh is expected to average about 18,000 bbl/day next year, growing to as much as 20,000 bbl/day in 2020, and 35,000 bbl/day by the end of 2023. However, the company warns any expansion plans beyond this year will be highly dependent on oil prices, as it tries to avoid piling on more debt.